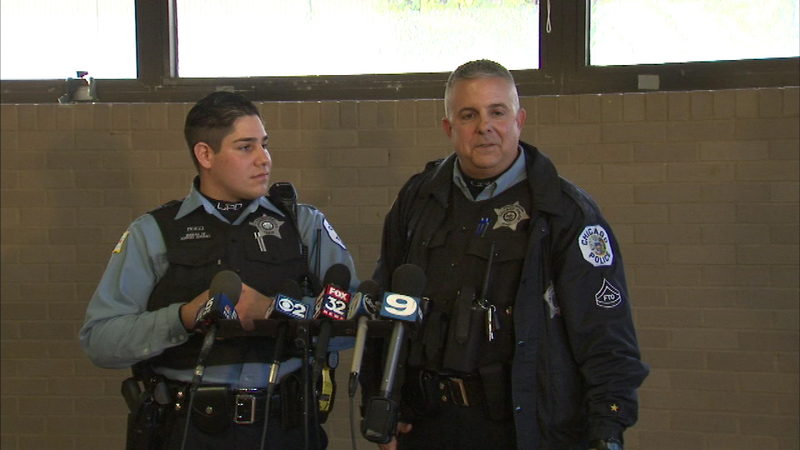 CHICAGO (WLS) -- Police say responding officers helped save the life of a man in the city's far Northwest Side during a medical emergency. Officers Robert Cavaiani and Nicholas Picicci responded to the call in the 3100-block of N. Marmora around 8:20 a.m. Sunday, finding a 62-year-old man inside the residence unresponsive and not breathing, police said. The officers began CPR until the Chicago Fire Department arrived and transported him to a local hospital, where he was stabilized, police said. Officer caravan says this is what being a police officer is all about. "I like to talk to the guys and let them know that, in an instant something can go from doing nothing, typical Sunday morning, nice and quiet, to going crazy, and that's exactly what we experienced," he said. Officials say Sunday was Picicci's first day on the job.